When it comes to family holidays a caravan might find itself on your ‘no chance, ever’ list. But the experts from Caravanning with Kids are here to share with you 5 reasons to re-consider. Perhaps a family camping trip is more rewarding and less difficult than you are imagining! Harness your inner adventurer; it’s time to explore the joys of a caravan holiday! Firstly its important to know you do not have to own a caravan to go on a caravan holiday. You can hire a caravan (or motorhome) to tow and you can also rent a stationary caravan or camper in a holiday park. This brings us to reason number one – a caravan holiday is a cheap family break! Forget expensive resorts and long haul flights. Australia’s holiday parks are located on some of the best beaches and tourist destinations in the world – you’d be amazed at the holiday you can afford if you forgo the fancy accommodation! Choose your own adventure – at your own pace! With a caravan you really can set your own adventure! Forget being on a schedule or locked into a routine, the pleasure itself is in the journey. Whether you want to plan a quick weekend getaway or an epic road trip, only a caravan holiday allows you the complete freedom to travel at your leisure. The family will delight in the ease of the experience and it’s refreshing to holiday at a speed that suits your own peeps. As many of us lament the loss of the ‘traditional Australian childhood’ a caravan holiday allows our children to break the modern shackles of over-parenting and feel the wind in their hair – much like many of us did as kids! With practical learnings, hands on experiences and the absence of 5 star luxuries your children will thrive in the simplicity of this style of travel. A caravan holiday also lends itself to including the children in planning, setting up, management and organisation so it’s not just a holiday but a chance to build confidence and responsibility with designated age-appropriate tasks! A caravan holiday is the ideal place to reconnect as a family. Life is busy and we can find ourselves missing the quality time we need to feel safe and secure in our family unit. A caravan holiday provides the opportunity for a family to regroup in a simple, relaxed way and to celebrate the joy of being together once again. There’s no kids club and no parents retreat but the close quarters of a caravan holiday can be a genuine blessing if you embrace the opportunity! 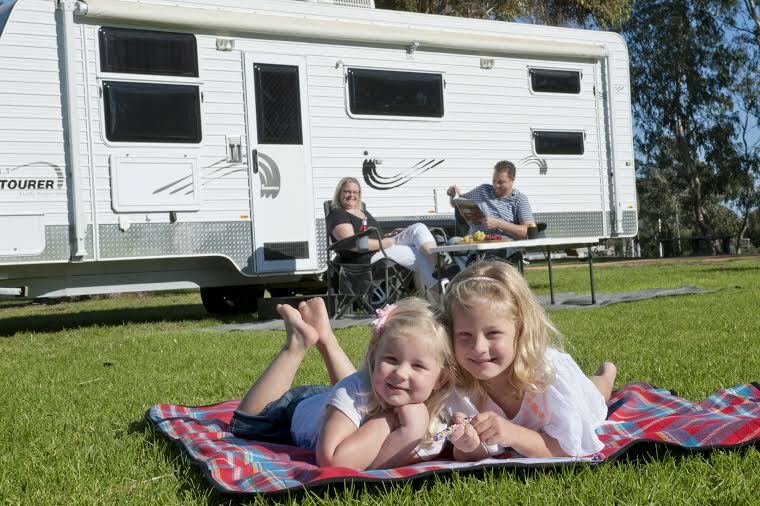 With your traveling home ‘base’ and all that Australia has to offer – a caravan holiday makes family bonding easy. 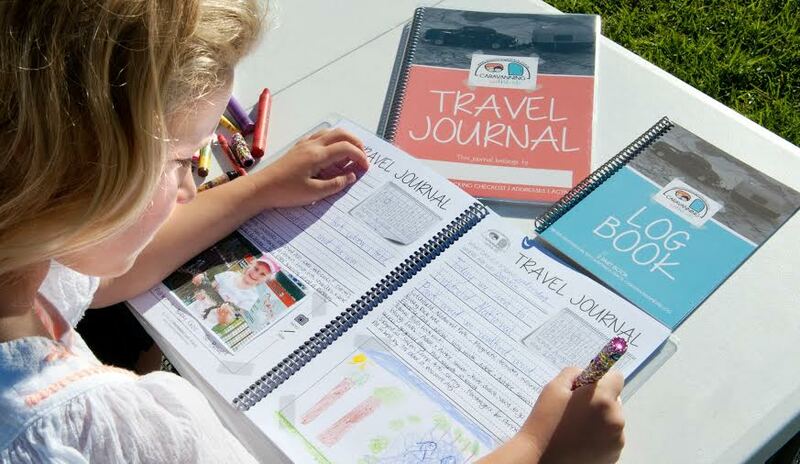 A family travel journal is the perfect way to document your journey together and can be a great source of family happiness, planning and reflection. Be sure to record the memories for years to come – you’ll treasure them long after the adventures are over! Modern caravans are actually pretty flash! If you still aren’t convinced that a caravan holiday is for you because of the ‘roughing it’ factor let us dispel this myth right away! Modern caravans are actually well-equipped with toilets, showers, microwaves and double beds. Rented caravans from reputable hire companies are clean and fresh and in many cases far better appointed than your average motel room! Don’t forget the added bonus that with a caravan holiday your luggage moves with you, there’s no packing and unpacking every time you change locations – a contemporary caravan is truly a mini home on wheels! If you think a caravan holiday might be for you there are plenty of great online resources available to help you explore this idea further check out Caravanning Australia Magazine, What’s Up Down Under and BIG4 Caravan Parks. This school holidays its not too late to throw caution to the wind and explore the ‘road less travelled’ in a caravan with your family. Be inspired to try something new – who knows where it may take you! Adele Dyson is the designer of the Family Travel Journal. This classic, written journal will be enjoyed and cherished for years to come and provide hours of fun and reflection for your little crew! The journal can be used for all types of adventures from long trips away in the caravan to quick weekend getaways, from simply documenting the school term break or an international adventure. The Family Travel Journal is designed, developed and printed in regional Victoria. Adele Dyson is a city girl who followed her heart to the country for love. She is wife to Wayne and mother to two adorable, small girls. Follow Caravanning with Kids on Facebook and on the website.